Instead of driving to a local approved truck scale to weigh, add TradeRoute Systems to your existing delivery or collection vehicles. 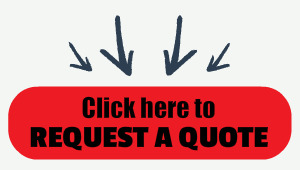 On site billing for materials delivered or collected eliminates guesswork and increases efficiency and customer satisfaction. With TradeRoute, weighing is a one-person operation. Add a weigh scale to your truck with trailer. Instead of driving to a local approved truck scale to weigh, add TradeRoute Systems to your existing delivery or collection vehicles. On site billing for materials delivered or collected eliminates guesswork and increases efficiency and customer satisfaction. With TradeRoute, weighing is a one-person operation. Hydraulics lift the container off the truck frame and within about five seconds you are ready to begin your weight transaction. The 920i® electronics center user interface sets up quickly and the display prompts walk you through weighing transactions and ticket printouts. 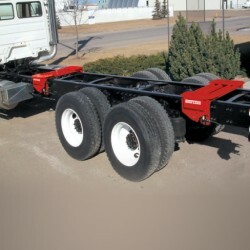 TradeRoute is a low-profile, on-board weighing system that bolts onto your existing straight truck frame. The system is complete with required hardware and simple installation instructions. Your existing truck frame is not modified. Connect the included line locks to the existing hydraulic pump to allow the scale to lift in and out of weighing mode. Weigh on slopes up to six degrees off level and get accurate weights. The 920i electronics center includes an inclinometer that continuously displays pitch and roll in normal weighing mode. When used in NTEP Certified Class III and IIIL applications, you are assured TradeRoute is the most economical and profitable accessory to your delivery and pick-up fleet. Article: Unsure where to look, they hired a team at the university to conduct research, calculate operating costs and present the best options. They returned with only one product: Rice Lake’s TradeRoute onboard weighing system. The only Legal for Trade onboard vehicle scale in North America, TradeRoute was a perfect prescription to bring their original vision into clear sight. Barry and Scott decided to build their company, on its sturdy, frame-hugging shoulders.